York Lo: Several articles have been posted on the Group’s website about American shipbuilder George U. Sands and his shipyard in Kennedy Town which eventually ended up in the hands of the family of Li Sing, the richest man in Hong Kong at the turn of the 20th century. 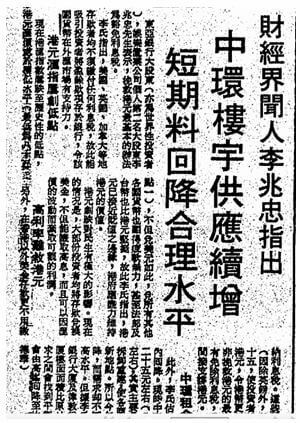 Several years ago, I wrote an article about Li Sing and two of his sons – Li Chi-tang and Li Po-Chun for the Dictionary of HK Biography. 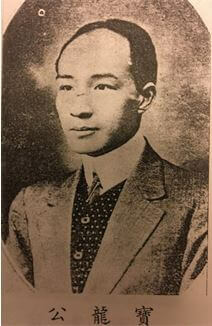 This article will focus on his fourth son Li Po-lung, who re-developed Sands’ shipyard into the “seven terraces” in Kennedy Town before losing it all in the 1920s and how his son Li Shiu-chung through hard work and shrewd investments in properties and the stock market restored the wealth of his branch of the family and left his own mark on the landscape of Hong Kong. Their stories very much capture the cyclical ups and downs of the Hong Kong economy over the past century. To those who are familiar with Western district, their names should ring a bell as there is the Li Po Lung Path in Kennedy Town and the Li Shiu-chung Memorial Building within the Tung Wah Hospital complex in Sheung Wan. The fourth of eight sons of Li Sing, Li Po Lung (also known as Li Wai Tong) was a graduate of the Diocesan’s Boys School. When Li Sing died in 1900, Po-lung inherited part of his enormous real estate holdings in Western district, including Marine Lot 239, which the family acquired from HK & Whampoa Dock in 1883. Over time, Po-lung developed seven terraces on the site, some of them in conjunction with fellow merchants such as Lee Sing-kui of Hong Nin Bank and the contractor Tam Woon-tong (best known as father of Brenda Chau who served as chairman of Po Leung Kuk when its Leighton Road site was constructed). 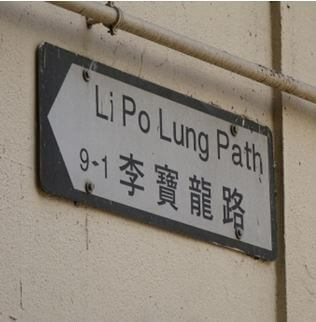 As Li Po-lung was a big fan of the Tang dynasty poet Li Po, six of the seven terraces (aside from Li Po Lung Terrace which was named after himself) have names related to the poet – Tai Pak Terrace (太白臺, the alias of Li Po was Tai Pak), Hee Wong Terrace (羲皇臺, Hee Wong was from one of Li’s poems), Ching Lin Terrace (青蓮臺, Ching Lin was another alias of Li Po; the Lo Pan Temple built in 1884 by the Contractor’s Guild is located here), Hok Sz Terrace (學士臺, also known as Academic Terrace, 學士 being one of Li’s official titles), To Li Terrace (桃李臺,from one of Li’s poems) and Chi Lan Terrace (紫蘭臺, also from one of Li’s poems). In 1915, Po-lung established the entertainment complex known as Lee Garden Tai Pak Lau (李苑太白樓) on Tai Pak Terrace which included restaurants, lounges, Cantonese opera theaters, amusement park and garden and occasionally featured fireworks. He was also elected a director of the Tung Wah Hospital. Outside of property, Li Po Lung was a founding director of the Bank of Canton in 1912 and the China Specie Bank in 1920, both of which were organized by American banker Isaac Patten (I.P.) Allen (1837-1925) together with other Chinese financiers. In the mid-1920s, Li Po Lung got into financial troubles and one by one his businesses were dissolved and his properties including the seven terraces were sold off. The China Specie Bank was shut down in 1923, followed by Tai Pak Lau in 1924 and the General Exchange Co Ltd, which he was a director of, was dissolved in 1925. Eventually he left town for Shanghai and was never heard from again. According to the Li family tree, he had one wife and four concubines who bore him 11 sons and unknown number of daughters. Born in 1909, Li Shiu-chung was the eighth son of Li Po Lung. As a scion of the wealthiest family in HK, his early life was comfortable and he received his early education at St Paul’s College. That all changed when he turned 15 when his father got into financial troubles and left for Shanghai. He was taken in by his seventh aunt, Mrs. Li Po-hung who saw great potential in him. After graduation from Wah Yan College at the age of 19, he became a real estate and stock broker to support his family, working first for a Nam Pak Hong merchant by the name of Chan Yu-fan (陳雨藩) and soon proved to be very good at his job. To broaden his knowledge, he traveled to Shanghai and other parts of central and northern China in 1935 for a month and from then on always traveled during the summer to expand his network and learning. His travels led to a big client – a Singaporean Chinese merchant by the last name of Yeo – and by the age of 28, he made enough from commissions to purchase his own properties. During the Japanese occupation, Li resumed his career as a property broker. At the time landlords were liquidating properties at bargain prices to get by and as a scion of the Li family, Shiu-chung was connected to many of the sellers. He also befriended many of the buyers including the Chiuchow merchant Liu Po-shan (廖寶珊, 1900-1961), who became one of the biggest landlords in Western district with the help of Li and later founded the Liu Chong Hing Bank (now Chong Hing Bank). When the War was over, Li picked up lots of properties in Tsim Sha Tsui at bargain basement prices, a smart decision as these properties appreciated more than tenfold within a decade. When refugees flooded into HK from the mainland in 1949, Li went bigger into real estate by going into the mortgage business. After the Korean War broke out in 1951, the HK property and stock market collapsed further and Li took advantage of the market correction to accumulate more properties and stocks of asset rich companies such as Whampoa Dock, the same firm which his family acquired the Sands Dock from. Over time he also became a major shareholder of other blue chip companies such as Bank of East Asia and HK Electric and the second largest individual shareholder of China Entertainment & Land Investment. An active shareholder, Li rarely missed a shareholder meeting and always spoke up to voice his opinions – whether it was criticism or praise of the management’s actions or proposals to enhance shareholder value, sometimes in conjunction with another shrewd investor who operated in similar fashion – Noel Croucher, the chairman of the HK Stock Exchange. By 1957, Li extended his reach overseas and began investing in the Australian and UK stock market. Having established his reputation as an astute investor, many tycoons come to seek his investment advice. While Li was major shareholder of many listed companies over the years, he only served on the board of one – Harry Odell Productions Ltd, led by the eponymous Jewish impresario Harry Odell (1896-1975). He and Odell built the Empire Theatre in North Point, which opened its doors in 1952. 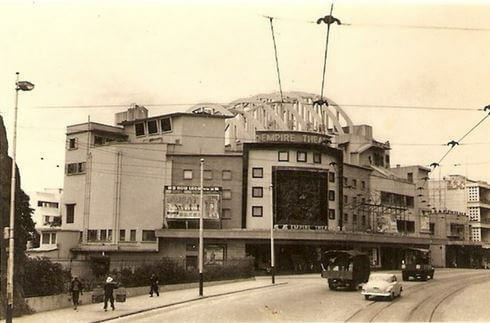 The cinema was later renamed State Theatre in 1959 and has been in the news in recent years as activists have tried to preserve the building from demolition due to its unique architectural style. 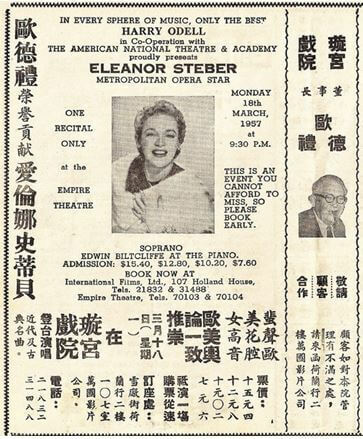 Advertisement of opera star Eleanor Steber performing at the Empire Theater in 1957 and picture of the presenting impresario Harry Odell on the right. In 1954, Li announced plans to re-develop the 6 houses he owned at 2-12 Waterloo Road in Kowloon to a 10-story building that would include apartments, offices, retail shops, hotel and entertainment complex. The project was to cost $1.2 million (not a small sum at the time) with design by the famous architect Su Gin-Djih but did not appear to have materialized. 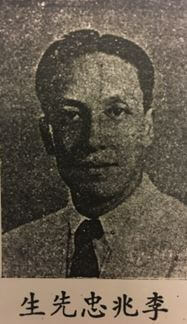 Outside of investing, Li Shiu-chung was active in philanthropy – he was a director of Po Leung Kuk in 1951 and director of the Tung Wah Group of Hospitals in 1953. A year after he passed away in 1994 at the age of 88 , his Li Shiu Chung Foundation donated $5 million to the Po Leung Kuk Centenary School in Tuen Mun. 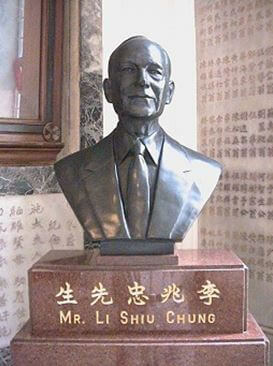 The school was renamed PLK Centenary Li Shiu Chung Memorial School in his honor. This article was first posted on 21st July 2017.